Tamala, the Feast of the Dead, is a three-day festival occurring on the first, second and third days of the month of Werdë (Oct 31st, Nov 1st and 2nd). 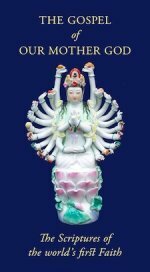 It is the last festival of the Mysteries of Life cycle and the last High Feast of the Mother Half of the year. The Feast of the Dead is one of the three Fire Festivals of the year – the other two are Rosa Mundi and The Day of Sai Herthe. Rosa Mundi is clearly the Fire Festival of the Mother. Its great theme is the ascension of the soul to union with Dea. The Day of Sai Herthe, coming at the center of the Nativity Season, celebrates the hearth-fire – that is, fire mediated by the Daughter (just as the sun's light is mediated by the moon) into a gentle force for the sustenance of maidkind. And even as the house is a microcosm of the world, so the fire of Sai Herthe at the center of the house represents the Daughter's sustenance of the world. The two Fire Festivals of the Creatrix and Sustainer of the worlds are necessarily matched by a third – that of the Destroyer of the worlds, the Dark Mother. This is not to say that the Feast of the Dead is seen directly as a feast of the Dark Mother. In fact, the preceding festival, the Feast of Divine Life, is more explicitly Her feast as the underlying Ground of All Being: "Wherefrom all comes, Whereto all must return". But in the economy of the Three Fire Festivals, Rosa Mundi is the "upward", Sattwic Mother-festival, the Day of Sai Herthe the "outward" (i.e. worldly-plane), Rajasic Daughter-festival and the Feast of the Dead the "downward", Tamasic Dark Mother-festival. All three Fire Festivals are known for being times when "the veil between the worlds is thinner", and encounters with subtle beings are more possible in this highly "consolidated" world-era than is usually the case. Outside our tradition, people are probably more aware of this at the Feast of the Dead (Halloween) than at the other two Fire Festivals (although the Nativity Season is a traditional time for ghost stories and midsummer is the traditional ghost-season in the Far East). The association of the Festival with "scary" things is well known. In Latin America the Dia de los Muertos (a pre-Christian festival, just as Halloween is the remnant of a pre-Christian festival in Europe) is traditionally associated with skeletons, while Halloween uses imagery like ghosts and witches. In all cases, though, this "frightening" imagery is used in a spirit of fun and good humor, acknowledging the fearfulness of death from a worldly perspective, but also seeing it as a part of the joyful round of existence. 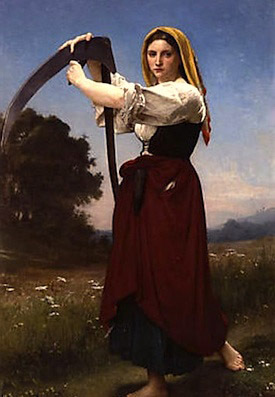 The focus of the festival is on the death of the individual rather than the "death" or re-absorption of the cosmos, although in traditional thought the two are never entirely separate, since maid is always microcosmos. 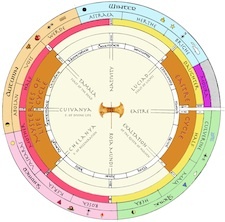 And more specifically, the focus of the festival is "intra-cyclical": that is, not on the final extinction-in-perfect-Union of the soul, but on her transition from one state to another within the world of werdë (karmic existence). For those of us who have lost friends, family, or amae, this is a time not only of remembrance but of re-connection. The fires of Tamala light the departed on the next phase of their Journey back to the Mother, and we offer soul-cakes or other foods to provision them on their onward way. In this, the final High Feast of the Mother Half looks to the coming Daughter who alone has entered into pure Death in order that no other soul can wholly die – even as She sustains the manifest cosmos by Her Sacrifice. On the last festival of the Eastre Cycle – the Exaltation of the Queen of Heaven – which directly mirrors the Feast of the Dead – the Daughter says "l shall unite you, all who love Me, in one body; the highest and the lowest, the living and the dead..." (Mythos of the Daughter VII, 5-6). This, indeed, could be the text for the Feast of the Dead, even though it belongs to its opposite/complementary festival – a fact that displays the complex and wonderful harmony of the Wheel of the Year whose subtle interconnections are inexhaustible. The Feast of the Dead is a feast of the unity of the Family of the Faithful, inseparable even by death. It is the feast of the darkening of the year in preparation for the coming Light of the Daughter at Nativity. It is the festival of the continual presence of Dea in every part of life – even those that seem most frightening – and in this it has always been a feast of the welcoming and dispelling of all that is fearful in the joy and laughter of the community. Traditionally it is a time for bonfires and fireworks, for apples and apple-related games and foods (it is the last festival of the Apple-season of Autumn) and for all foods that have to do with fire (in more recent times barbecues, toasted marshmallows and popcorn, to name but a few). 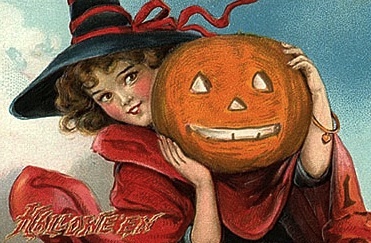 Over the past century in the west, the pumpkin lantern has become the fundamental popular symbol of this festival. As often happens (for symbols are living things) it is highly appropriate, incorporating fearfulness, and the playful dispelling of fear, with light and the concept of a lantern that guides the way; and including also the benevolence of Our Mother in Her abundant fruits of the earth as well as the joyful unity and playfulness of the community of the faithful who are always "as little children" under the loving protection of Our Mother God. On the very simplest level of all, the Feast of the Dead is a night-light lovingly placed by Our Mother, so that her children may never need to fear the dark.